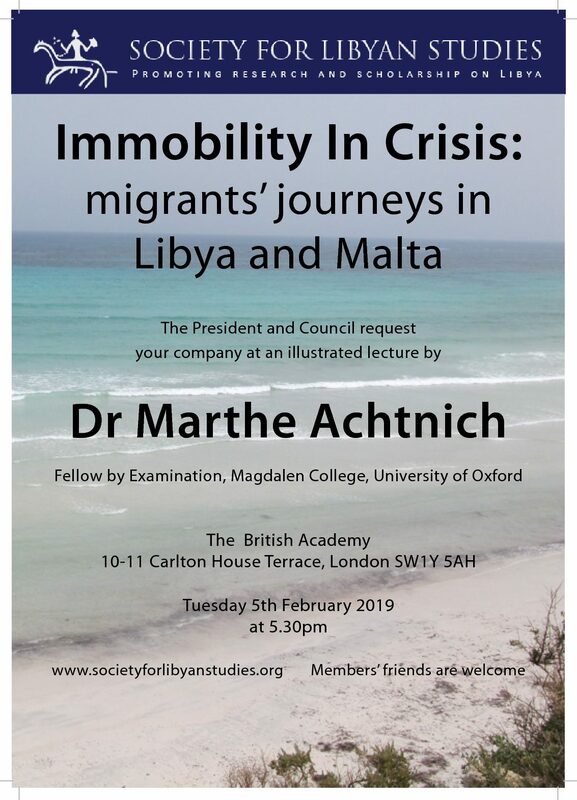 The President and Council of the Society invite you and your friends to attend a lecture by Dr Marthe Achtnich, entitled “Immobility in Crisis: Migrants’ Journeys in Libya and Malta”, which will be held at the British Academy, 10-11 Carlton House Terrace, London SW1Y 5AH on Tuesday 5 February, 2019, at 5.30 pm. Dr Achtnich is a Fellow by Examination in Anthropology at Magdalen College, University of Oxford. She is an anthropologist working on mobility and migration with a focus on unauthorised migration from sub-Saharan Africa via Libya to Europe. 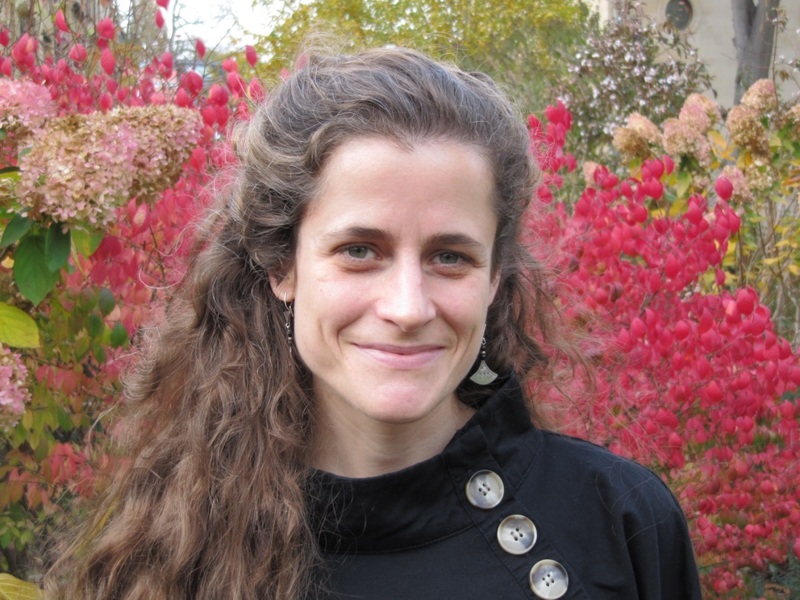 Marthe holds a DPhil in Social Anthropology and an MPhil in Migration Studies from the University of Oxford. Marthe’s doctoral work (Mobility in Crisis) on migrants’ journeys was based on multi-sited fieldwork in Libya and Malta. She traced migrants’ mobilities through the Sahara desert, detention centres and smuggling houses in Libya, across the Mediterranean sea by boat to Malta, and onwards through Europe. This was followed up by a Society for Libyan Studies funded small research grant (2017) to examine the afterlives of journeys in Malta and generate longitudinal perspectives on mobility. Further research on relations between mobility and commodification was supported by a Wiener-Anspach Postdoctoral Fellowship (2017/18). Marthe’s current research project (Mobility Economies) extends her ethnographic work on unauthorised mobilities to examine how migrants’ journeys and different economies surrounding their mobility shape one another along migrant routes in Niger, Sudan and Libya.